Humans have had a long and complicated relationship with our planet. Ancient civilizations were so frightened of bad weather they sacrificed each other to ensure the proper amount of rain. Today, have our own way of expressing our planet based angst – through films that ask “what if?” about various environmental disasters. After all, as much as nature gives, it can also take, and there has been no serial killer more prolific than mother nature. We’ve messed with the planet pretty significantly – climate change is real and worsening – so maybe it’s right that we’re afraid of these unavoidable consequences. Here are six films that show just how scary it can really get when mother nature lashes out. With an ensemble cast that included James Whitmore and Joan Weldon, this particular horror movie focuses on the havoc nuclear testing can cause. 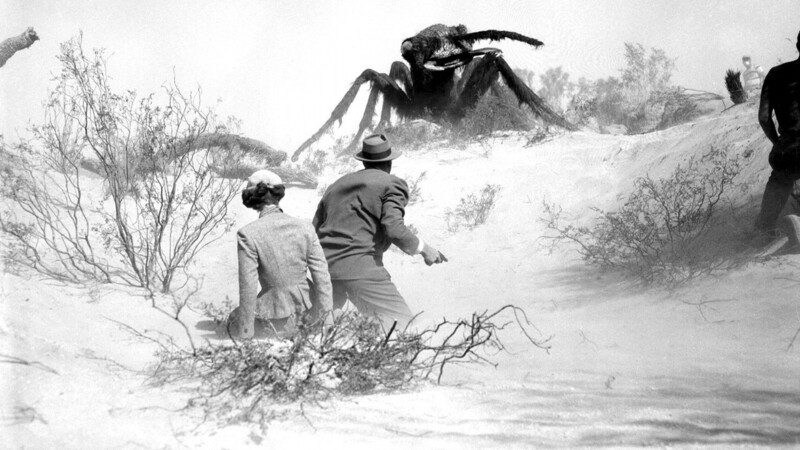 Specifically, one of the ickiest possible consequences – giant mutant bugs. If that’s not enough to get you to turn off a few extra lights, and keep your waste to a minimum…nothing is. While the heroes eventually prevail with the help of flame throwers and guns, the film reflected the era’s fear of nuclear weapons and their unintended side effects. 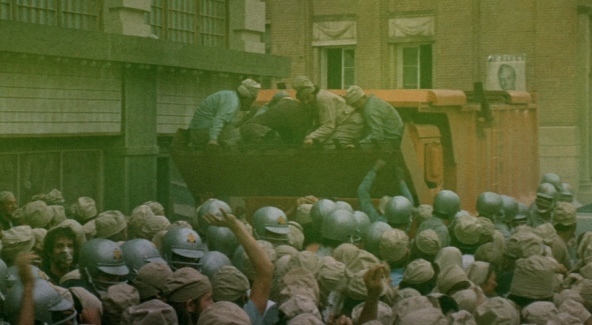 Despite being filmed 40 years ago, Soylent Green deals with many environmental issues still at play today including overpopulation and pollution. Charlton Heston and Leigh Taylor-Young are inhabitants of a nightmare version of NYC, where homelessness and poverty are even more rampant than in reality and food is running out. The wealthy class is hoarding resources for themselves, while the lower classes rely on ‘Soylent Green’, supposedly made of seaweed, for protein. The horrifying twist ending – Soylent Green is made from human remains – is an extreme but not impossible result of an overburdened society that has destroyed the planet for its own greed. 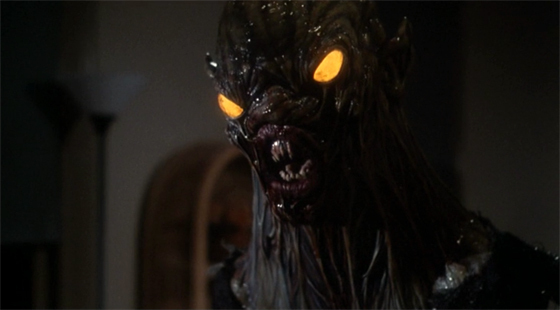 The ever-wonderful William Shatner and Tiffany Bolling star in this terrifying arachnid tale. 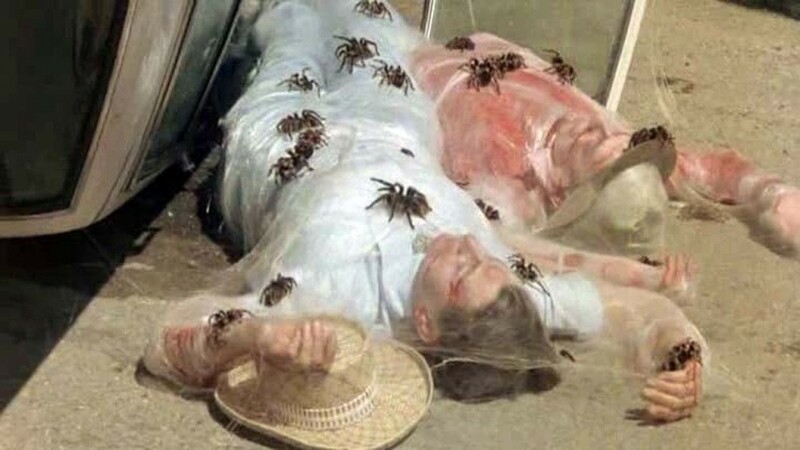 Once again, people have brought the horror on themselves, this time by over spraying pesticides and depriving the spiders of their natural prey and habitat. Since the tarantulas can’t get enough food in the wild, they attack the townsfolk instead. Yet another reminder to respect the animals we share a planet with, instead of trying to hog the whole pie for ourselves. Robert Foxworth and Talia Shire take the lead in this 1979 film about the dangers of unchecked pollution. The culprit here is a paper mill that is polluting the nearby river and the affected animal is a bear, and it is not happy. After a murderous rampage that includes at least one decapitation, the protagonists are able to escape with their lives. 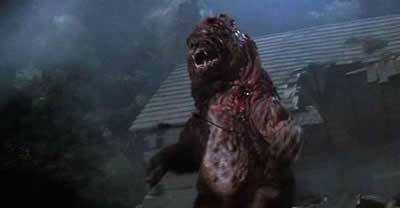 However, while they were able to kill the original mutant bear, danger still lurks in the forest as other animals are affected by the pollution in the water. We really need to watch out for pollution. Not only does it mutate bears and bugs, but it also mutates homeless people who have to sleep in radioactive sludge. And if there is one thing we know about anybody or anything that has been mutated, it’s that they will have a taste for human flesh. The lucky people who get to try to solve the mystery of the mutant underground dwellers in this case are John Heard, Daniel Stern and Christopher Curry. Though by the end they prevail against the mutated humans, the film reflects both the fear of corporate greed and the effects of pollution. Global warming reaches a tipping point in this apocalyptic drama starring Jake Gyllenhaal and Dennis Quaid. Icebergs are melting, the weather is out of control, and most of the United States is either flooding, freezing, or both. Quaid is a scientist that has been sounding the alarm bell for a while only to be ignored by the government. The scariest thing about this movie is how grounded it is in reality. The floods likely won’t be quite as sudden or dramatic in real life, but they are certainly on the horizon if we don’t get our act together. In fact all these movies, however exaggerated they may be, serve as warnings of what may truly come to pass. It may not be mutant bears that kills us, but global warming and pollution are a real danger we are facing. It’s a danger we are blindly creating despite knowing better – Vectren Energy recently reported 87% of carbon dioxide emissions are a direct result of human activity, significantly contributing to climate change. It’s fun to watch these scary movies, but if we don’t start taking their lessons seriously, we may be living in a ecological horror story of our own not too far into the future!